CES has finished for another year but there are still a few meaty droplets of tech news to be mopped up, this being one. Chinese manufacturer Hanvon (what do you mean you've never heard of them?) 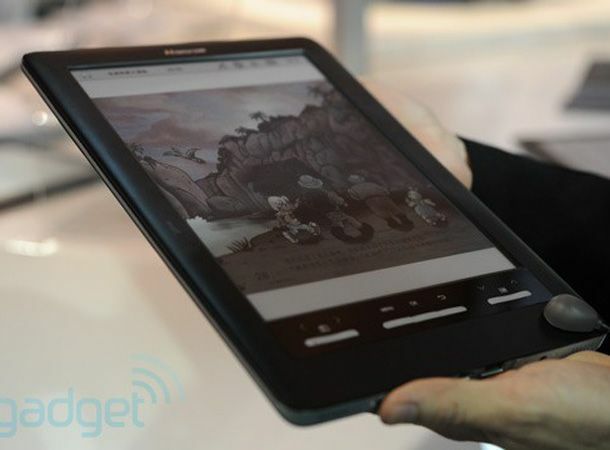 chose the Vegas gadget expo to unveil its WISEreader E920, the world's first e-reader with colour E Ink. The device, out in June, boasts a 9.7-inch display with a sterling 1200 x 1600 resolution. It supports colour print in the pioneering low-power E Ink, which means the device should offer a 15-day (or 10,000 pages) battery life. Hanvon's Liu Yingjian said of the device: “Consumers should expect clear, detailed text and images from their e-books, readable in bright light conditions, and the WISEreader E920 delivers this experience.” Lofty claims, but first impressions of the device suggest that the colours are washed out and refresh rates are tiresome. We await word of a UK release. In the mean time, check out our roundup of the very best gadgets of CES 2011.